If you enjoyed the Big Read if Barchester Towers on Facebook and would like to try more of the same group discussion then you can join the Anthony Trollope Society Facebook Group’s next book read which starts very soon. The book is Miss Mackenzie which is one if Trollope’s finest standalone novels. To find out more, click on the Facebook Group link in the sidebar of the Jupiter website. The London Seminar Group of the Trollope Society is meeting tomorrow evening to discuss Barchester Towers which was the featured novel in the Trollope Big Read to mark his Bicentenary. Everyone is welcome, whether you are members of the Trollope Society or not. The meeting will be at 6pm 30th June at St Giles-in-the-Fields 60 St Giles High Street, London WC2H 8LG. For more information contact: Martin Chown (email: martin.chown@cantab.net ). Tomorrow is National Flash Fiction Day. The genre tells a whole story in a maximum of 100 words. Trollope would’ve struggled with Barchester Towers. Bishop dies and his son isn’t promoted from Archdeacon. Mrs Proudie, the new Archbishop’s wife, attempts to rule the diocese, competing with his Chaplain Mr Slope. Both take a low-church stance against the high church Archdeacon. The Archdeacon mistakenly believes his sister-in-law, Eleanor, is in love with Slope but she refuses both his proposal and that of the ne’er-do-well Bertie. Instead she marries Arabin, the Archdeacon’s ally. Slope loses the battle with Mrs Proudie and quits Barchester. According to the Oxford English Dictionary, Miley Cyrus did not invent but merely re-popularised twerking. In fact, Trollope, as a child, might easily have been familiar with and used the word. Initially the word was a noun but by 1848 its use as a verb had become common – thereby putting paid to complaints of current critics about the use of the noun “impact” as a verb. When I embarked on reading The Barchester Murders I said that prequels such as this worried me for a number of reasons including the the need, as I see it, to be respectful of the original source, particularly in marketing. I was also worried that by crossing genres into the realm of crime fiction this would detract from faithfulness to the spirit and intent of the original works. I would also like to see that such a book would stand on its own merits rather than riding on the coat-tails of the original. 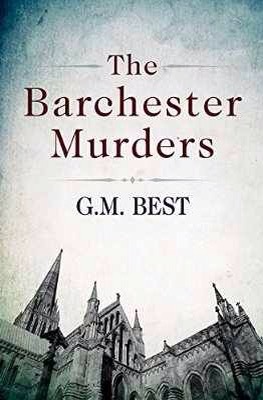 So how does The Barchester Murders fare? I have real concerns that the plot requires changes which show insufficient respect for the original. A key issue on which much of the plot revolves requires Mr Harding’s daughters to be the same age (non-identical twins to all intents and purposes). Now Trollope very clearly has Susan Grantly (nee Harding) some years older than her as yet unmarried (at the start of The Warden) sister Eleanor. This gives her a very different social status in Victorian England and a degree of moral authority over her younger sibling which would be absent in twins. I really think that this is a change too far, which cannot be accepted by readers of Trollope’s series. There are times when Best’s research is obtrusive – Trollope rather unnecessarily goes into details about his unhappy childhood in a conversation with Mr Harding. The other characters stay reasonably faithful to their originals though Archdeacon Grantly is required to be a less unbending in his stances than Trollope has him. Indeed there are anachronistic views, mostly held by Trollope, who was more socially conservative than portrayed here. He is seen to be a little too broadminded with views on the treatment of women that are more in tune with the 21st than the 19th century. But does the book work as a crime novel? Broadly, yes. If we accept the removal of the age gap between the sisters, then the plot hangs together. There is suspense over which of the characters Trollopians know and love might or might not be a murderer. Of course readers of Trollope will know who survives to appear in The Warden and therefore who might be vulnerable to becoming the murderer’s next victim but Best generates tension out of the situation with beloved characters featuring as the prime suspect. There is even a humourous point where suspicion falls on Trollope himself. In fact, the book would probably work better as a pure crime novel for the non-Trollopian, unfettered by foreknowledge of who will appear in Trollope’s novels without a stain on their character, but there is the risk that the book is only of interest to Trollopians. Overall, I could not recommend the book to a Trollope fan without the caveat that Best plays fast and loose with certain “facts” from Trollope’s Barchester but, accepting these issues, I think that it will find more favour with Trollopians who want to read more about their favourite characters, and who care about them already, than with non-Trollopians for whom, I suspect, it will not stand on its own two feet. At the Alliance of Literary Societies annual gathering this year I met members of the John Clare Society. I had to confess I had never heard of, let alone read any of the works of, John Clare. Clare was a poet and contemporary of both Wordsworth and Keats. He was born and brought up in the countryside near Peterborough. His poetry reflects a deep understanding of and an abiding passion for the natural world around him. Largely neglected after his death, his poems are enjoying renewed interest now as his connection with the land, arising out of his humble origins, is becoming recognised and respected. 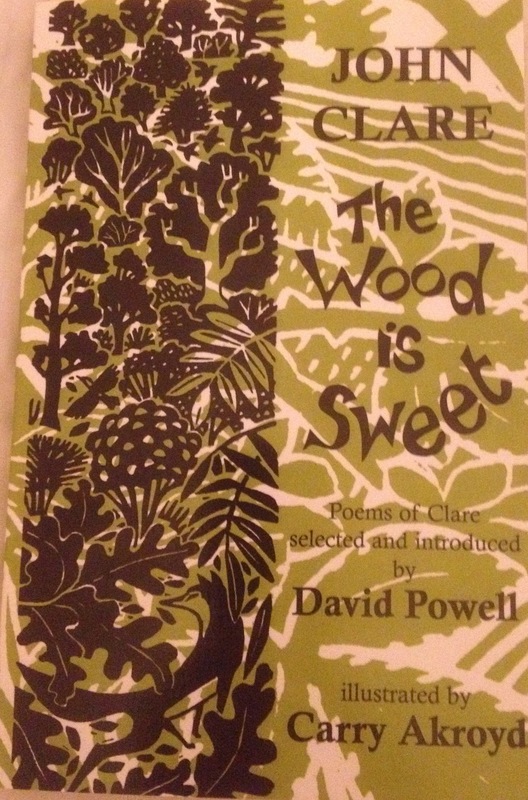 I must thank the members of the John Clare Society who very kindly gave me a copy of The Wood is Sweet, a collection of Clare’s poetry to introduce me to his works. Trollope was a Waterloo baby. As in, he was born the year of the battle. Which of course means that there has been much celebrating to mark the battle’s bicentenary as well as Trollope’s. These events culminated in a re-enactment of the delivery to London of the news of Britain’s victory. In this internet age, it is easy to forget that news of events back then travelled at the speed of the fastest horse. So it was that London learned on 21st June of the outcome of the battle fought on the 18th June. Nowadays some bystander with a phone would have tweeted a selfie with Napoleon surrendering in the background. Not sure that constitutes progress.